All that talk about music reminds of the Church of St Anne’s, in Jerusalem. 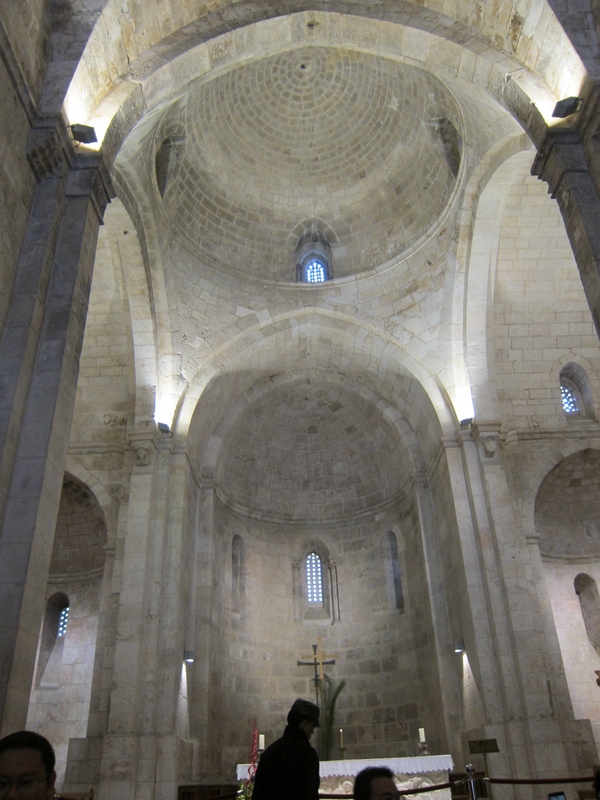 It’s located next to the Pool of Bethesda and reputed to have the best acoustics in the region. I agree. As the 60 of us entered the church, someone began to sing the first lines of a song my Hubby suggested. One by one, the voices combined. No one was louder than the other, each one deferring to one another as our vocal chords combined to create a truly wonderful sound. It was almost as if the angels were joining us. As the last note of “Amen” faded away, tears ran down some cheeks and we all stood in hushed silence for a few more minutes. Yes, the vocal chord is an instrument too, and when amplified by astounding acoustics, it becomes an amazing instrument. This entry was posted on 13/02/2014 at 23:54 and is filed under Music, Travel. You can follow any responses to this entry through the RSS 2.0 feed. You can leave a response, or trackback from your own site.